Scholarship that can be measured using indicators such as: bibliometric indicators; downloads from Open Access repositories; acknowledgements and other recognition as deemed appropriate; prizes and awards; reputation as measured by survey; post-publication peer-review (book reviews, dedicated symposia); and, juried exhibitions and performances. Capacity through teaching and mentoring at the undergraduate and graduate levels that can be measured using indicators such as: number and quality of experiential learning/ research opportunities for students; surveys of students and alumni; employer surveys; integration of research as a learning outcome in courses. Economy that can be measured using indicators such as: advisory roles and board memberships; revenue opportunities and cost savings in the public, private and not-for-profit sectors resulting from research applied in practice; income derived from patents, patent licensing, copyright and trademarks; and, consulting contracts. Society and Culture that can be measured using indicators such as: number and quality of partnerships between researchers and community groups; requests for consultancy/advice from community groups; media coverage of research (newspapers/ TV/ online); requests for media appearances; engagement of the public at events; research-related social media; and, public use of research-based resources on social and cultural issues. Practice and Policy that can be measured using indicators such as: invitations to participate as an expert witness, an advisor, on an expert panel or committee; citations in government documents; consulting for governments or think-tanks; and, commissioned reports, public policy documents and input. 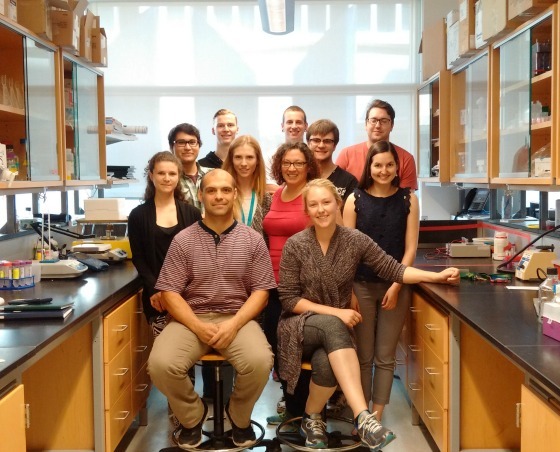 Check out vignettes and feature stories describing University of Regina research that has impact. U of R Press, the University’s publishing house, received 13 nominations and won four awards. U of R Press is Saskatchewan’s only scholarly publishing house. It was launched in 2013 and has published seven Canadian bestsellers since then. Dr. Thomas Hadjistavropoulos, Professor in the Psychology Department and Director of the U of R’s Centre on Aging and Health, received the Distinguished Contribution Award for Pain in Older Persons. The recognition is a culmination of Hadjistavropoulos’ more than two decades of top-notch research on campus and in the community that continues to make a positive difference for older adults suffering from pain. 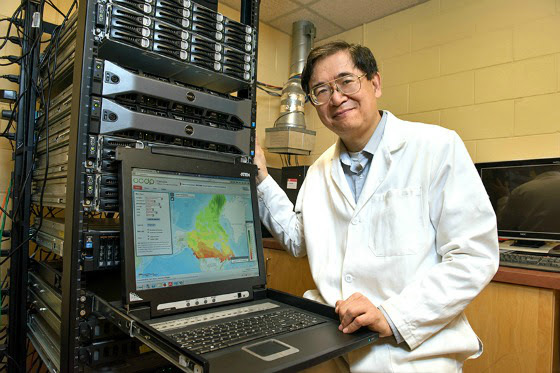 Dr. Yiyu Yao, a Computer Science professor at the University of Regina is ranked among top 1 per cent of the most cited researchers in his subject field for 2015. 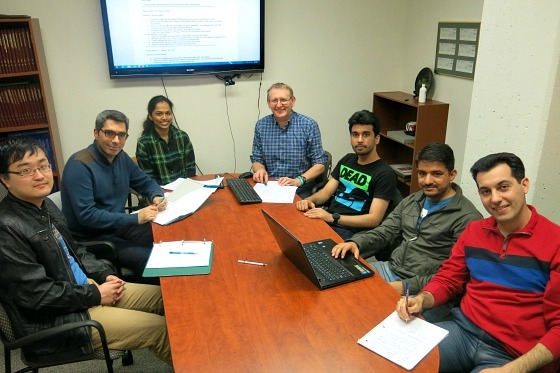 The University of Regina’s department of Computer Science partnered with ISM Canada with the aim of reducing crime in streets. The data mining and visualization system will be an important tool to support crime-reduction programs.A group of interns supported by the Mitacs Accelerate program were integral to the project. The Mitacs Accelerate program facilitates experiential learning and builds capacity by matching a graduate student with a supervising professor and a partner organization. The BHP Billiton SaskPower Carbon Capture and Storage (CCS) Knowledge Centre hosted 49 graduate, PhD and post-doctorate students from 17 countries to the 10th annual International Energy Agency Green House Gas (IEAGHG) Summer School at the University of Regina. The University of Regina’s Canadian Institute for Public Safety Research and Treatment (CIPSRT) is leading a pan-Canadian consortium that is receiving funds from the federal government to address first responders’ and public safety personnel’s mental health concerns. “These investments support the development, implementation, and accessibility of evidence-based assessment tools, procedures, and treatments to reduce the impact of operational stress injuries” says Dr. Nick Carleton, Professor of Psychology and Scientific Director at CIPSRT. 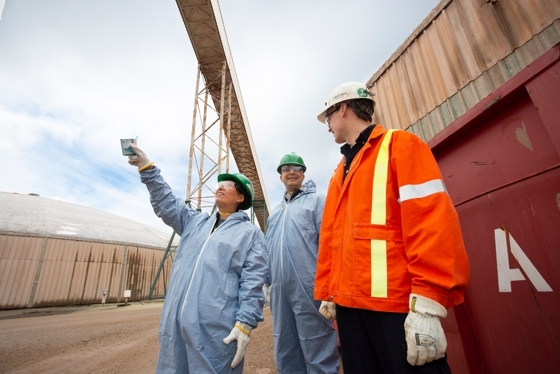 The province of Saskatchewan accounts for more than 45 per cent of known potash resources globally, making efficient potash processing practices important for the economy, the environment, and the world food supply. Dr. Stephanie Young is focusing her project on affecting potash floatation in a more environmentally friendly way. Young proposed her idea during the inaugural North American AIMday (Academia Industry Meeting day), an event akin to speed dating that matches industry need with research expertise. Josef Buttigieg, Biology and Nuelle Novik, Social Work gave a presentation titled “Your Aging Brain: Why We Forget What We Are Talking About” at the Health Sciences Pub held at the Bushwakker Brewpub on May 19. Drs. Buttigieg and Novik talked about the implications of the aging brain from both the basis biomedical perspective and the social health perspective. The University of Regina hosted 2018 Congress of Humanities and Social Science. It is the largest conference held in Regina's history bringing in thousands of scholars, students and delegates from across the country. CBC news article. Dr. Patrick Neary, professor in the Faculty of Kinesiology and Health Studies, was a visiting professor at the Sports Performance Research Institute at Auckland University of Technology (AUT) in New Zealand. AUT is leading the Global Rugby Health Research Programme under the leadership of Dr. Patria Hume, Professor of Human Performance at AUT. Neary is one of two Canadians contributing to research that hopes to improve the lives of current and former rugby players. The collaboration involves research from Auckland University of Technology (NZ), Leeds Beckett University (UK), the University of Aberdeen (UK), the University of Sydney (Australia), La Brobe University (Australia), and the University of Western Australia. The University of Victoria and the University of Regina are the research team's Canadian contingent. Researchers at the University of Regina have recently launched a new climate change tool. Canada Climate Change Data Portal (CCCDP) is designed to help project future climate changes. Dr. Michelle Stewart, associate professor in Justice Studies and Brittany Mario, graduate student are conducting research that examines the progress and challenges faced by the Mental Health Disposition Court, established by Regina Provincial Court in 2013. Research shows the court has achieved some success in diverting individuals out of correctional facilities and provides recommendations to improve the system. Dr. Nicholas Carleton provided input to the report to the House of Commons as an expert witness. The unanimous report urges the federal government to create a national strategy for PTSD and operational stress injuries.